Here’s a super cute gift idea or just something special to create for yourself as a keepsake. 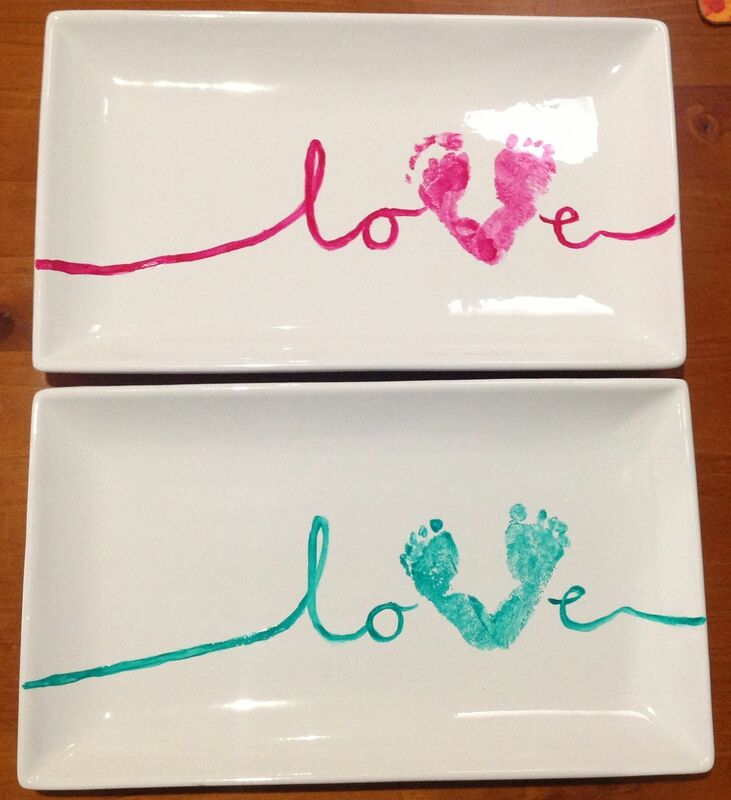 Use porcelain paint to make a heart shaped footprints on a large serving tray that spells love! Any grandparent would completely melt I am sure. I found a great set of porcelain paints on amazon that should work perfectly if you want to do this.